Life Down Our Lane: Amazed! My sweet new bloggie friend Kerry posted a comment on my blog last week saying that she found something at Target and immediately thought of Gauge. She wanted my address so she could send it to me! I just couldn't believe that someone I had never met before would be so kind, sweet, and thoughtful to do something like that. So I sent her my mailing address and about a week later, I received this in the mail!!! Isn't he the cutest thing you have ever seen!!! She knew from reading my blog that a week from today, we will be having Gauge's 1st Birthday Party and his theme is Monkeys. Again, Thank you soooo much Kerry for your thoughtfulness! I saw her comment and wondered what would come of it. Wow! How sweet of her! 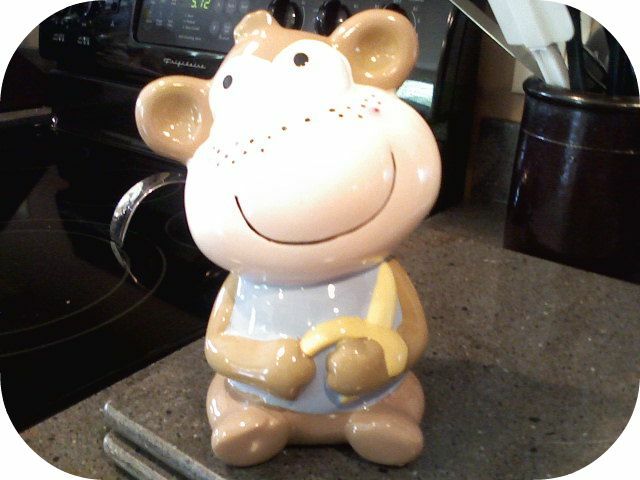 And it is an adorable monkey...can't wait to see pics from the "monkey party"
Oh I'm so glad to see that Mr. Monkey made it to Ohio safely...especially after my haphazard visit at the post office! Looking forward to seeing/reading about his party next weekend!